This piece by Stacy Blackman originally appeared in Wharton Magazine. Dunkin’ Donuts made headlines this month with its latest menu item: the Glazed Donut Breakfast Sandwich. The sandwich consists of fried eggs and bacon tucked into a glazed doughnut, and it has generated cries that Dunkin’ is trying to scare off its customers. Yet the sandwich is actually a great move on Dunkin’s part. Why? Because it allows the company to play to the strength of its brand. After all, no one goes to Dunkin’ Donuts because they’re on a health kick. They go because they want sugary iced coffee and dessert concoctions. So the new sandwich seems very true to Dunkin’s brand, and customers are responding in kind. The Glazed Donut Breakfast Sandwich. Photo credit: Dunkin’ Donuts. There’s a good lesson for MBA hopefuls here. Most MBA applications require candidates to write an essay answering some version of the question, “What are your long-term career goals?” This question is intended to allow applicants to discuss their career vision and explain why an MBA is crucial to getting there. It has also been known to send applicants into a spiral of despair. A career goal to be the CEO of a Fortune 500 company is an MBA-worthy goal, but you start to worry that these ambitions are shared by too many of your fellow applicants. So you create for the admissions committee an entirely different goal that you think they’d like to hear—say, launching a nonprofit that will provide medical supplies to hospitals in developing nations. While this sounds impressive, the committee will be skeptical if you’ve spent your career in a consulting firm and have never set foot outside the U.S. Figure out the strengths of your personal brand. Think back on all the jobs you’ve had. If your managers were asked to name your strengths, what would they say? Chances are, you’d hear the same descriptors. Like Dunkin’ is known for decadent treats, figure out what you bring to the table. Incorporate your strengths into your career plans. It’s fine to state on your application that you want to be a CEO. The admissions committee will want to know why you’ll be a successful one. This is why it’s so important to know your strengths. Make a case for how those strengths will help you meet your career goal. Don’t disregard current trends. While the Glazed Donut Breakfast Sandwich sounds like the proverbial heart attack on a plate, the sandwich comes in at a reasonable 360 calories. By keeping the calories under control, Dunkin has made a concession to health concerns while still being true to its brand. Shakespeare said it best, “This above all: to thine own self be true.” That is one of the most valuable pieces of advice for gaining admission into the MBA program of your dreams, and for future career success. If you’re the doughnut guy, be the doughnut guy—just be the best doughnut guy you can be. 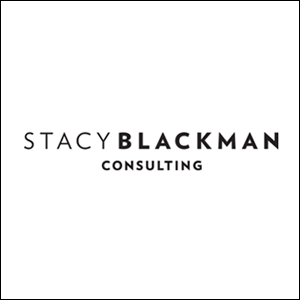 This entry was posted in General and tagged career goals, MBA admissions, personal branding, Stacy Blackman.